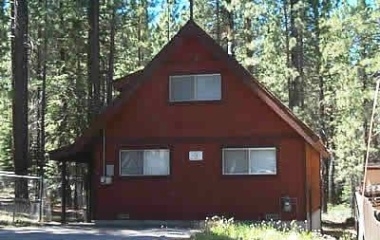 This family home is in a great location less than 5 miles to casinos and skiing. It backs to the National Forest providing guests with both wooded views and recreational possibilities. Featuring a large back deck outside and a living room with high ceilings, a cable TV and VCR inside. This unit offers guests all the amenities of home at a very affordable price for a large group. Please note: This home does not have a dishwasher.